Group training - Taking individual endurance sports I create a team environment. I lead groups to make the training sessions fun, dynamic, and educational. One on one coaching - I work with athletes to understand their goals and time available to train and design customized plans to reach their goals. One on one skill assessment - I analyze how an athlete moves and help them improve their movement and technique through progressive exercises..
As an avid but not competitive mountain biker, I did my first Xterra Triathlon in 1999 and branched out into many different types of endurance sports since then. As I got more experienced, I became more competitive and have won several Xterra races and achieved cat 1 status in many cycling disciplines. 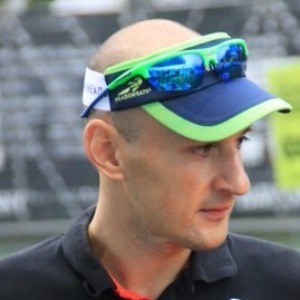 I started coaching in 2005 and have coached swim teams, triathlon group training programs, cycling skills clinics and camps, and marathon group training programs. Over that time I have coached beginners, intermediates, elites, para-athletes, kids, seniors, as well as other coaches. Currently I hold certifications as a USA Triathlon Level 1 coach with a Youth and Junior certification and a USA Cycling Level 2 coach. Communication is key. I expect my athletes to report their workorkouts on trainingpeaks with data uploads, and workout comments. Success. Coach Teodoro Ramos has been notified of your message.